The Organization feature helps teams make the most of what Prott has to offer. Invite your team members to your Organization and any projects created within the group will be automatically shared amongst all members. 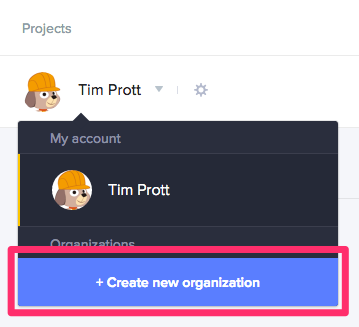 The Organization feature makes collaboration smoother and team communication seamless. Please note that the Organization feature is only available to Team and Enterprise plan users. 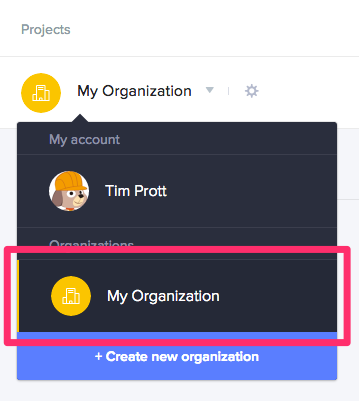 Click on your account name to view the account menu, then click on the + Create new organization button. 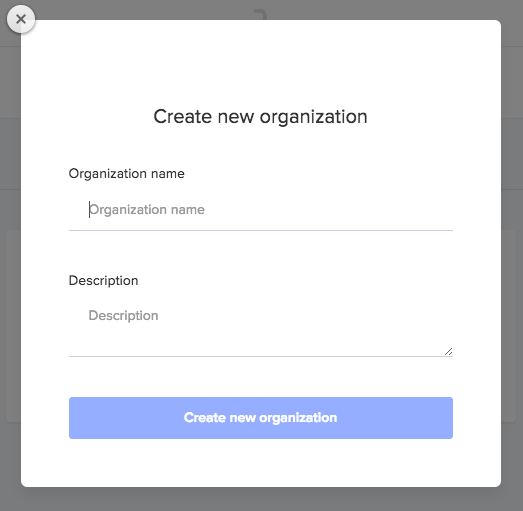 Your new organization account will be added under Organizations in the account menu. Simply click on the organization name to switch to that account. Click the gear icon next to the name to go to the organization settings page. Click the + button on the right side to see the member management page. Enter the email address of the member you would like to invite. Enter a space between email addresses when inviting multiple members at a time. Inviting members to your organization makes it easy to share and stay up-to-date on the different projects within your company or team. Don't worry! If a project is confidential, you have the option of making it a private project. ※ Each plan has a different member limit with the Team plan at 2~14 members and the Enterprise plan at 15 and up.